The NXT UK Women’s Championship is on the line! 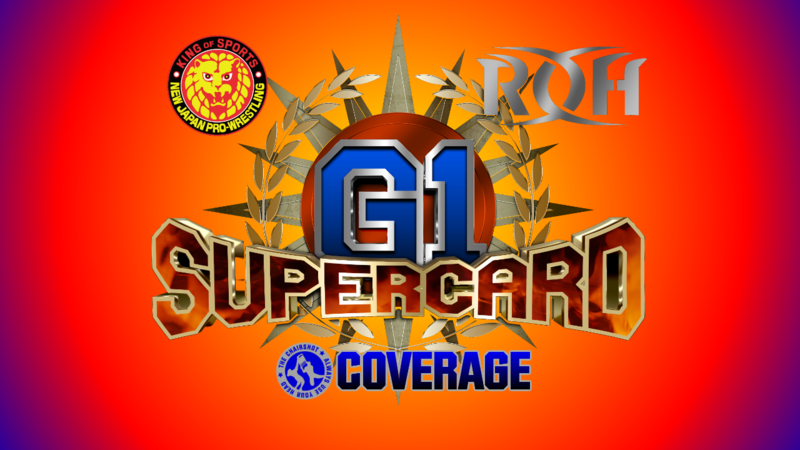 Will Toni Storm hold onto her title after facing the Spoiled Princess? Or will #ToniTime come to an end? Travis Banks VS Kassius Ohno; Banks wins. Piper Niven VS Killer Kelly; Niven wins. Jack Starz VS Joseph Conner; Conners wins. NXT UK Women’s Championship: Toni Storm VS Jinny; Storm wins and retains the NXT UK Women’s Championship. The NXT UK Women’s Championship has already had a wild history. Toni Storm took the title from Rhea Ripley in Blackpool, but Jinny was immediately hot on her tail. This rivalry goes all the way back to their first meetings in PROGRESS Wrestling. The Spoiled Princess is laser focused on becoming the “hero” to the UK, India and the WWE Universe she feels we deserve. Will Jinny take the spotlight away from Toni? Or will the Lightning from Down Under strike tonight? Travis Banks VS Kassius Ohno! The Kiwi Buzzsaw has heard what the Knockout Artist has had to say about him, NXT UK’s roster and modern day British wrestling in general. Banks won’t let Ohno act like he’s the real deal without proving it. Will Ohno prove Banks as the first fraud on the roster? The bell rings and Banks steps to Ohno but Ohno stays back in the corner. Fans boo Ohno as he takes his time circling with Banks. They tie up and Ohno gets Banks on the mat with an armlock. Ohno steps over but Banks stands up. Banks rolls but Ohno wrangles him back down. Banks gets up again as Ohno wrenches, to roll and nip up. Ohno resists but Banks still gets the wrench and armlock reversed. Fans cheer but Ohno grabs a leg. Ohno wrenches through to a headlock and grinds Banks down. Fans boo Ohno and rally for Banks as Banks powers up. Banks pries out to a wrench and headlock of his own, and holds on as Ohno tries to power out. Ohno endures the grind now and throws forearms to fight out. Banks and Ohno collide but Ohno doesn’t budge. Ohno laughs at tiny little Travis. He didn’t see nor feel Banks there. Banks fires up and runs but Ohno still tanks the shoulder. Ohno flexes but Banks dares him to try. Ohno accepts, but stomps Banks’ foot instead! And then the other foot! Ohno runs now, but Banks kicks him in the chest! And then the leg! Banks drags Ohno down with a keylock but Ohno avoids the ax and Penalty kicks. Fans boo as Ohno goes to the apron, but Banks kicks Ohno off! Banks DIVES, but Ohno catches him! Ohno shoves Banks back to boot him! Ohno refreshes the ring count and drags Banks up for a Canadian rack. Banks fights out and runs back in, but Ohno puts him on the apron. Banks lands on his feet to Penalty Kick Ohno down! Fans cheer as Banks aims again. Ohno stands but gets clear of the stomps to shove Banks into steel steps! Ohno gets in the ring while the ref checks on Banks. Banks is okay to continue so the ring count begins. Banks stands at 4 and gets in at 6, but Ohno is on him with stomps. Ohno puts Banks in a corner for a mudhole! Ohno backs off but comes back to drag Banks up into a cravat. He snapmares and runs from a corner for a leaping leg drop! Cover, TWO! Banks lives but Ohno keeps his cool. Ohno stomps Banks then drags him up for a forearm. Banks falls over but crawls to a corner. Ohno kicks him in the back then grins as Banks writhes in pain. Ohno drags Banks back up but Banks throws body shots. But Ohno rakes the eyes! And then scoop slams him! Ohno goes to a corner and climbs up, to MOONSAULT! But he flops as Banks rolls out of the way! Banks fires up and gives Ohno kicks! He kicks and kicks but Ohno blocks one to wrench the foot! Ohno reels Banks in for a big knee! Banks reels away, clutching that bad shoulder. Ohno goes outside and goes after the arm. He puts it under the apron skirt to BOOT it! Fans boo and the referee checks on Banks, but Ohno soaks it all up. Ohno returns to the ring while Banks keeps a guard up. Banks kicks but Ohno stomps the bad shoulder. Ohno stomps Banks down while holding that bad arm. Ohno drags Banks back up while fans sing to taunt him. He clubs Banks over and over on the bad shoulder but Banks fires forearms back! Banks mule kicks then runs, but into a bicycle boot! Ohno runs, Dream Crusher forearm! Cover, TWO!! Banks survives and Ohno grows furious. Fans sing for Banks as he and Ohno get up. Ohno stomps Banks back down, then clubs him at the ropes. The ref reprimands Ohno but Ohno keeps clubbing Banks. Ohno whips but Banks holds onto the ropes. Ohno rams his shoulder into Banks, then whips again. Banks still holds on with everything he has! Ohno goes after the hand gripping the ropes but the ref counts. Ohno lets up at 4 but Banks has let go of the ropes. Banks gets away but OHno whips him. Banks reverses but Ohno tumbles to the apron, only for Banks to shotgun him off! Fans fire up as Banks builds speed, Banks DIVES! Direct hit on Ohno, but that shoulder still bothers him. Banks goes up the ramp and runs back down, for a shotgun knee! Ohno staggers to the ring but Banks follows. Banks goes corner to corner for the leaping stomps! Cover, TWO!! Ohno survives but Banks keeps his focus. Banks tries to pop his shoulder back in, then runs to a corner. Ohno stops Banks with an Electric Chair lift, but Banks victory rolls! TWO, and Ohno rocks Banks with a right! Ohno drags Banks up but Banks hits the Kiwi Krusher outta nowhere! Cover, TWO!! Ohno still lives but fans applaud that incredible strength from Banks. Fans rally up now and Banks feeds off the energy. Banks runs again, leaping into a BOOT! Ohno drags Banks up, Electric Chair lift, then tucks Banks in for the Rubick’s Cube driver!! Cover, TWO?! Banks survives and shocks Ohno! Fans are loving this opening action from “NXT! 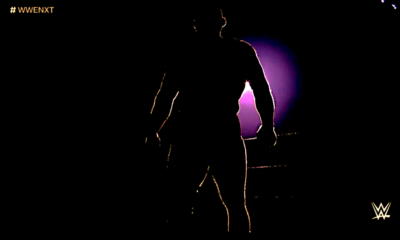 NXT!” as Ohno slowly stands. Ohno drags Banks up again, ripcord but Banks spins around for a backslide! TWO, but Banks quickly rolls Ohno over, TWO!! Ohno grabs a leg but Banks sits on it for a cover, Banks wins!! It was fast, but it was a win! The Kiwi Buzzsaw shows he’s smarter than the “Wrestling Genius”, but is this feud far from being over? NXT UK, meet the NEW WWE United Kingdom Champion! TakeOver: New York pitted the Bruiserweight against The Ring General, and though he never backed down, Pete Dunne was brought down by Walter’s clubbing forearms and chops. Dunne gave everything he had, but it just wasn’t enough to stop the Austrian Anomaly. And now, the record setting reign is over. Long Live WALTER! Backstage interview with Jordan Devlin. After what we saw on Friday, so many people are talking about a rematch. That’s all The Irish Ace has heard, too. He doesn’t care about that rematch. Dunne lost, he’s a loser. Devlin is a winner. Now it’s time for Devlin to take on Walter, and he’ll prove why you never bet against the Ace. But will Devlin have what it takes to trump Walter when Dunne didn’t? Piper Niven VS Killer Kelly! The Mosh Pit Kid, Rhea Ripley, declares herself the most dominant woman in NXT UK, but the Scottish Viper is here to refute that. Will Piper’s debut against the Portuguese Pitbull go her way? Or will Double K find a way to stop Piper’s roll before it gets started? The bell rings and the fans are fired up for Piper. She and Kelly circle and tie up. Piper pushes Kelly down and looms over her. She offers a hand and helps Kelly up, showing she’s a good sport. Kelly and Piper go around again, and Piper gets the arm. Piper wristlocks then gets both hands, but Kelly breaks free to get a cravat. Fans rally as Kelly cranks Piper’s neck. Piper rolls but Kelly holds on. Piper powers out and runs Kelly over with a shoulder! She drags Kelly up now for a big scoop slam! Piper runs and drops the senton! Then a splash! Cover, TWO! Kelly survives but Viper Piper’s right on her with a cobra clutch. Fans rally again as Kelly works her way out of the hold. Piper holds on as they both stand, then she whips Kelly into the corner. Piper runs in but Kelly sends her into buckles. Kelly fires body shots then runs, to boot Piper back! Fans rally both ways as Kelly drags Piper out. Kelly tries to suplex but Piper blocks and counters to a scoop. But Kelly slips around to a sleeper hold! Kelly is a backpack and Piper starts to fade. But Piper gets a second wind to ram Kelly into buckles. Piper elbows Kelly off her, then goes corner to corner for a CANNONBALL! But she’s not done there, she drags Kelly up for a scoop driver! Cover, Piper wins! The NXT UK in-ring debut is successful for the strong and agile Scottish superstar. But Rhea Ripley appears to try and ruin the celebration! Piper is ready and stares her down. Fans want them to “Fight! Fight!” and Piper’s ready, but Rhea reconsiders. Rhea promises to see Piper again soon, but when and where will she put her money where her mouth is about being the most dominant female on the brand? 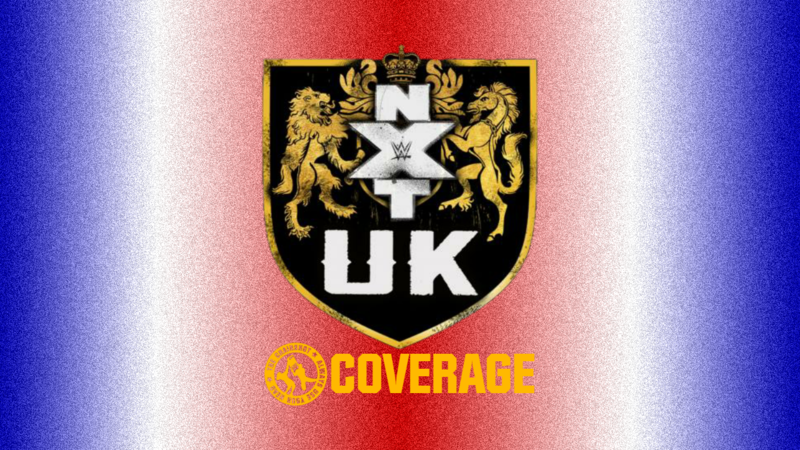 NXT UK shares an interview from last week with Moustache Mountain. Tyler Bate & Trent Seven were ready for Wrestlemania Axxess and the entire week. They’ll represent Moustache Mountain, British Strong Style and NXT UK all at once in the States! And what better way than with their old chums, Mark Andrews & Flash Morgan Webster. That match is coming, who proves they can still get it done in tag team action? The Grizzled Young Veterans speak. “I am Liverpool’s Number One, Zack Gibson. This man is James Drake.” And together, the Grizzled Young Veterans are THE NXT UK Tag Team Champions. “At this crucial moment in time”, Gibson should be home to support his futbol club. But no, they’re headed to the States? The last time this happened, they had to defend the titles. But this time, it’ll be different. The GYV issue a non-title Open Challenge, Yanks need not apply. This is only for the NXT UK Tag Team Division and those “locker room leaders”. They dare any two to step to them, the team “SOON to be recognized” as the most important champions in the entire WWE. Who will answer such a challenge? Will that team beat the champions to prove they deserve a shot at the titles? Jack Starz VS Joseph Conner! The last time we saw Jack, he was seeing stars after being chopped by Walter. But will Starz manage a comeback? Or is he just the next “shiny new toy” to be broken by The Righteous Killer? The bell rings and Conners glares at Starz as they tie up. Conners throws Starz down but Starz gets up quick. They tie up again and Conners wrangles Starz down for an armlock. Conners jams Starz’s arm then wrenches it again. Starz uses the ropes to flip through and then he rolls and rolls and cartwheels to a Northern Lights throw! Fans cheer as Starz has the armbar. Starz sits on it for a short arm scissors but Conners rolls to a cover. ONE and Starz holds onto the arm. Conners deadlifts Starz way up but Starz sunset flips! TWO, and Conners stomps Starz down! Conners then skins the cat up top, and leaps for a flying shoulder! Conners fires himself up but fans rally for Starz. Starz sits up but Conners pulls him up by his ear. Conners shoves Starz to the ropes for a forearm to the back! Conners drops an elbow then taunts Starz before dropping another. Fans jeer Conners while he puts Starz in an armlock and chinbar. Starz endures being wrenched and pulled. Fans rally up and Starz fights his way up. Starz throws body shots but Conners shoves and headbutts Starz down! Conners drags Starz back up and whips, but Starz sunset flips! Conners breaks that to drop another elbow! Strangely, Conners wants to know if Starz is okay. He seem to only want to know to he can keep beating Starz up. Starz gets to a corner but Conners runs in for a big back elbow! Then an Atomic Toss! Starz crashes and writhes but Conners slithers over. Conners drags Starz back up and reels him in for a lariat. Conners stalks Starz and brings him up again. Starz blocks the buckle bump then fires body shots! Starz bobs ‘n’ weaves, leap frog to European Uppercuts and a dropkick! Conners is in a corner, Starz runs in for another EuroUpper! Fans fire up as Starz climbs, and leaps! But Conners rolls through the crossbody, DON’T LOOK DOWN! Cover, Conners wins! Starz looked down and fell, raising Conners up in the ranks. Conners shouts angrily at a buckle pad, or perhaps just the visualization of his next target. Will Conners continue to win all the way to a title match? “My dad was a harsh man. He loved me, but he wouldn’t tell me that. Because that was showing weakness.” Opening up like that was not how Black Country men are. Mastiff wants his dad to know what he’s made of his son. The Bomber dominates and destroys whoever is put in front of him. Mr. Mastiff, look at your son now. Who will be the next man crushed by the merciless Dave Mastiff? NXT UK Women’s Championship: Toni Storm VS Jinny! We already know the Spoiled Princess wants the crown, and that the Lightning Down Under won’t give it up so easily. Jinny is fierce and Toni is tough, but who will be THE NXT UK Women’s Champion when it’s all said and done? The introductions are made, the belt is raised, and we begin! The two fire off right at the bell with furious hands! Jinny rocks Toni with a right then stomps her around the way! Toni hits back fast with palm strikes and a kick. Toni runs but Jinny blocks. Jinny swings but Toni dodges. Toni speeds up and redirects to dropkick Jinny down. Cover, TWO! Toni keeps on Jinny going after the legs and getting a Half Crab! Fans taunt the “Spoiled Princess!” but Jinny endures. Jinny claws towards ropes but Toni switches to a figure four STF! Jinny still claws her way forward and she gets the ropebreak. Toni lets go but with a little stomp at the legs. Jinny gets in the corner and Toni runs in but Jinny boots her back. Jinny runs but Toni flips her. Toni underhooks but Jinny escapes to dragon screw Toni down! Jinny rolls Toni over for her seated surfboard! Toni endures now as Jinny pulls back. Fans rally up and Toni pries a hand free. Toni crawls for the ropes but Jinny pulls back on the other arm. Toni gets that arm free so Jinny lets go to drag her away. Jinny pulls Toni into a camel clutch and leans back! Toni endures but fans rally up, and Toni powers through to rolls Jinny into her own surfboard! Toni pulls Jinny back as hard as she can and starts rocking. Fans sing for Toni but Jinny pries out. Toni stomps Jinny but Jinny claws forward again. Jinny gets the ropebreak and Toni lets her go. Fans cheer as Toni backs off and Jinny gets to a corner. Toni goes in but Jinny bumps her into buckles. Jinny throws Toni to then huricanrana her to a corner! Jinny runs in but Toni dodges. Toni runs back in, but into a buckle shot! Jinny drags Toni to a corner, TWO! Jinny grows frustrated so she ax kicks Toni down again and again. She drags Toni up and whips her for a forearm to the back. Jinny does it again to the other side, then again to a third side. Toni elbows back but walks into a backbreaker! Cover, TWO! Toni survives but Jinny keeps on her with more ax kicks! Cover, TWO! Fans rally for “Toni, Toni, Toni! OI OI OI!” but Jinny pulls Toni back in a half camel clutch. Toni powers up and out to throw body shots. Toni spins and whips Jinny to a corner, but Jinny Japanese arm-drags her into buckles! Cover, TWO! Jinny drags Toni up to stomp her back down, then wraps her up in a chinlock. Toni endures being thrashed around and fans rally up. Toni fights up but Jinny wrangles her back down. Jinny grinds but Toni reaches, only to get dragged into body scissors. Toni reaches and flails but Jinny holds on tight. Fans rally again and Toni gets out of the body scissors. Jinny spins her around to SLAP her! Jinny stands Toni for more slaps, but Toni catches her into a German Suplex! Toni holds onto the waistlock for a second German! Toni holds on still, but Jinny blocks the third! They roll through, Toni gets the third German after all! Fans fire up with Toni as Jinny crawls to a corner. Toni runs in for a hip attack! She drags Jinny up for underhooks but Jinny blocks and powers Toni to a corner. Jinny rams her shoulder in then puts Toni’s legs on the ropes. Draping facebuster! Cover, ROPEBREAK! Toni’s foot touches the rope even as she’s upside-down! Jinny is furious and says Toni Time is over. Jinny underhooks Toni, but Jinny slips out for a HEADBUTT! Cover, TWO!! Jinny survives but both she and Toni are reeling. Fans rally again as both women head for each other. Toni forearms and Jinny responds, and now it’s a brawl. They go back and forth as fans sing for Toni, and Toni CHOPS Jinny. Jinny swings but Toni dodges. Jinny blocks the kick to throw her down for a knee! Toni gets to a corner and goes up and over. Toni gets Jinny but Jinny standing switches only to get an elbow. Jinny headscissors but Toni blocks with strength! Toni powerbombs Jinny, then rolls her around for underhooks, Storm Zero!! Cover, Toni wins! The Storm weathers the Fierce Fashionista to stay on top! Toni denies Jinny her throne, but who will be next to challenge Toni for hers? 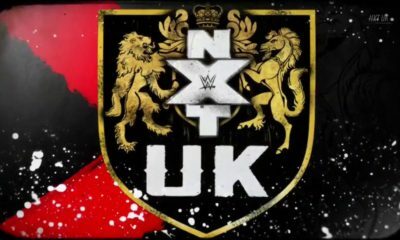 A great episode for NXT UK to continue after TakeOver: New York! Of course, most of TakeOver had nothing to do with NXT UK’s current stories, so we actually got some meaningful things this episode. Banks VS Ohno was great, and it was a great choice for Banks to win with a quick roll-up rather than a finish. This feud will continue, and Ohno might win the rematch so that the tiebreaker blow-off goes to Banks. I’m surprised to see Jack Starz back, I thought he got cut. But at the same time, every brand needs a jobber, and he did well in his match with Conners. Conners wins to rebound from losing to Ligero, but it is still unclear what the endgame is for Conners’ story. And knowing that Walter is new champion, Devlin still wants at him, and their match is going to be great no matter what. There was a lot of vague plugging for the Wrestlemania Axxess Worlds Collide specials coming over the next few weeks. Moustache Mountain VS Andrews & Webster will be great, and whatever match Grizzled Young Veterans ends up having will be great, because NXT, both USA and UK, have great tag divisions. Piper Niven had a solid debut match with Killer Kelly, and of course she won. I liked that Piper was ready for Rhea’s sudden appearance. Their match is going to be great, and could help propel Piper to title contention quickly. Toni VS Jinny in the title match was great, as it always would be given their lengthy history. Toni wins because this wasn’t the moment for a title change. That likely happens, if at all, at the next UK exclusive TakeOver. But chances are, Toni still retains even then, she’s so over and so deserving of a long reign. 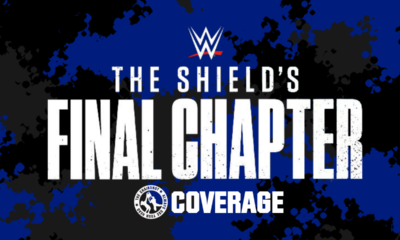 Six Man Tag: The Shield VS Baron Corbin, Drew McIntyre & Bobby Lashley; The Shield wins. Teams sort out as fans chant for “SHIELD! SHIELD!” and “Burn It Down!” We start with Rollins and Corbin. Fans are strong for the home state hero and WWE Universal Champion. Corbin and Rollins circle and tie up. Corbin headlocks but Rollins powers out only for Corbin to run him over. Rollins is up quick as Corbin mocks the Burn It Down stomping. Corbin and Rollins circle again as fans rally up for Rollins. Corbin headlocks but Rollins powers out, and things speed up until Rollins dropkicks Corbin! Rollins drags Corbin up and wrenches him to the Shield corner. Tag to Ambrose and fans go wild for the Lunatic! Ambrose and Rollins rally on Corbin with the clothesline, splash and elbow! Cover, ONE! Ambrose keeps on Corbin in a corner with fast hands! He goes way past 10 then whips Corbin corner to corner. Corbin boots Ambrose and tags out to Lashley. The Rocky Mountain Machine runs into a forearm but things speed up, Ambrose clotheslines Lashley down! Ambrose hits Lashley in the corner then tags Rollins. Rollins tags Roman, Poetry in Motion feeds to a boot! Lashley retreats and tags in McIntyre. The Scottish Terminator has hunted The Shield and specifically The Big Dog for months. Roman throws hands on McIntyre but McIntyre gives them back. McIntyre puts Roman in a corner but gets an uppercut! McIntyre boots but runs into a Samoan Drop! Cover, TWO! Tag to Ambrose and he climbs up to leap over McIntyre. Ambrose sends McIntyre out then builds speed to DIVE! Direct hit sends both men into the barriers! Ambrose puts McIntyre in but has to fight Corbin off first. Lashley distracts and McIntyre blasts Ambrose back. McIntyre distracts the ref so that Lashley and Corbin can stomp away on Ambrose! Roman and Rollins get them to back off but the damage is done. McIntyre drags Ambrose up to snake eyes him on barriers. He puts Ambrose back in but fans rally up for “Dean! Dean!” McIntyre stomps Ambrose’s hand then tags to Lashley. Lashley throws hands then puts Ambrose in a corner for body shots. He stomps a mudhole then grinds a boot in. Fans rally for Ambrose more but Lashley snap suplexes him down. Cover, TWO! Lashley drags Ambrose up and throws him back out. Lashley taunts The Shield so that McIntyre and Corbin can stomp Ambrose out! Roman and Rollins protest again but Lashley drags Ambrose up for haymakers. Lashley refreshes the count so he has time to put Ambrose in. Tag to Corbin and the pack keeps Ambrose away from his brothers. Corbin mugs Ambrose then brings him up. Ambrose CHOPS away but Corbin knees low. Corbin hits The Shield down but ambrose trips him up! Figure Four Leg Lock! Lashley distracts the ref and McIntyre rakes Ambrose’s eyes! Corbin puts Ambrose in the corner and McIntyre tags in. McIntyre suplexes but Ambrose resists to snap suplex back! Both men are down and fans rally up! McIntyre tags Lashley while Ambrose goes the wrong way! Lashley intercepts Ambrose and pushes him back. Lashley throws Ambrose overhead then covers, TWO! Fans still rally for Ambrose but Lashley throws him back out. Lashley again mocks the Shield while his crew stomp Ambrose. But Roman grabs a chair! Roman goes after Corbin but the referee steps in the way. Corbin gets away while McIntyre tags in. McIntyre puts Ambrose in but Ambrose revives to neckbreaker! Ambrose crawls while McIntyre seethes. They go to their corners, hot tags to Corbin and Rollins! Rollins springboard lariats and fires off on Corbin’s pack! Rollins Slingblades Corbin then slingshots onto McIntyre! The Beastslayer keeps going, and escapes the choke slam to roll up! TWO, SUPERKICK! Fans are thunderous as Rollins stomps to “Burn It Down!” Rollins aims at Corbin for a mule kick but has to clothesline McIntyre out. Corbin clobbers Rollins at the ropes! Lashley tags in and Corbin hauls Rollins up top. Corbin throws hands then he and Lashley both climb up. Rollins fights them both off! Lashely goes down and then Corbin. Rollins adjusts and leaps to crossbody Corbin! He bounces off, hot tag to Roman! Roman rallies as he clotheslines Corbin, then atomic drop and leaping lariats Lashley! Fans fire up as Roman locks ‘n’ loads. But Lashley dodges the punch. Roman fights out of the urenage and SUPERMAN PUNCHES Corbin! Lashley elbows Roman but Roman comes back with a SUPERMAN PUNCH! Roman and Lashley are down but fans fire up as Ambrose makes his return! Ambrose shouts for Roman and Roman heads that way, hot tag! Ambrose climbs and hits the Lunatic Elbow! Cover but McIntyre breaks it! McIntyre rains right hands on Ambrose then helps Lashley tag Corbin. The pack suplexes Ambrose but Rollins saves him. Corbin and McIntyre punch Rollins and Ambrose, but they come back with a SUPERKICK and Lunatic Lariat! Lashley drags Ambrose up to the Canadian Rack, but Roman SPEARS him down! Rollins gives McIntyre the CURB STOMP! Ambrose gets Corbin with a Dirty Deeds! But that’s not all, tag to Roman and then tag to Rollins. If this is truly the Final Chapter, it has to end with… THE TRIPLE POWERBOMB!! 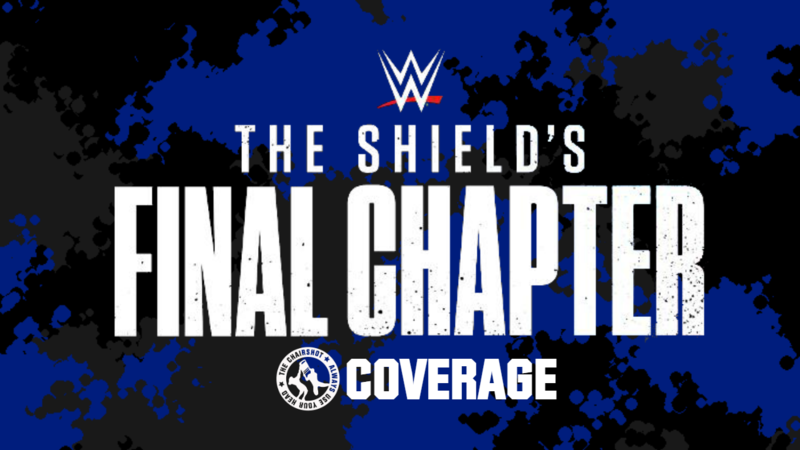 Rollins covers, The Shield wins!! The Hounds of Justice are still the dominant force in the WWE! The Final Chapter has a happy ending! The Shield hugs, and fans chant “Thank You, Shield!”, but now it’s Ambrose’s turn to speak. “For all you people who live in Seth Rollins Country”, just look at this as an example. They’re just like any one of the you. If you work hard and never take no for an answer, you can do whatever you want! Rollins being champion proves that. If you want proof you can overcome anything, just look to Roman who overcame Leukemia. And The Shield proves is about kicking down doors, taking what is yours and never taking no for an answer! If someone tells you you can’t be what you want to be, stick up a middle finger and march forward because The Shield said so! Fans again thank Ambrose. And since this is the Final Chapter, we need one last… Shield Fist Bump! Sierra Hotel India Echo Lima Delta, forever! A great little house show turned big special, and I didn’t realize it’d go for over an hour! Or that they’d change the name last-minute to “Final” instead of “Last”. But anyway, this was really fun, and I feel like the non-Shield stuff is how Raw needs to work. Even though most of the action had to do with superstars going to SmackDown… But Finn VS Elias (not Almas as people expected) was great because Elias had a great bit much like he would on television. Obivously Finn wins, the title wasn’t going to really change hands on a house show special. This still makes it clear that Raw is getting Samoa Joe with the United States Championship, hopefully tomorrow so the questions are out of the way. Then the not-as-hyped Riott Squad’s Final Chapter was naturally going to be a loss because Bayley and Ember need to look strong on SmackDown. Liv will be on her own, so it is both a big opportunity and a lot of pressure to see how she is as a solo act. For the time being it seems Ruby and Sarah will try to stay a duo, but I giving Corey Graves a standing ovation for what he said on commentary in reference to the name changes of Viking Experience and “Erik”. There is a high chance Sarah leaves Ruby behind to join husband Ray “Erik” Rowe to make the Viking Experience a mixed trio. And I’m sensing some kind of uneasy partnering of Bayley and Ember when they were both hoping for the SmackDown Women’s Championship. Maybe their team falls apart because of that desire to be contender to Becky.